First up, Regan Byrd. 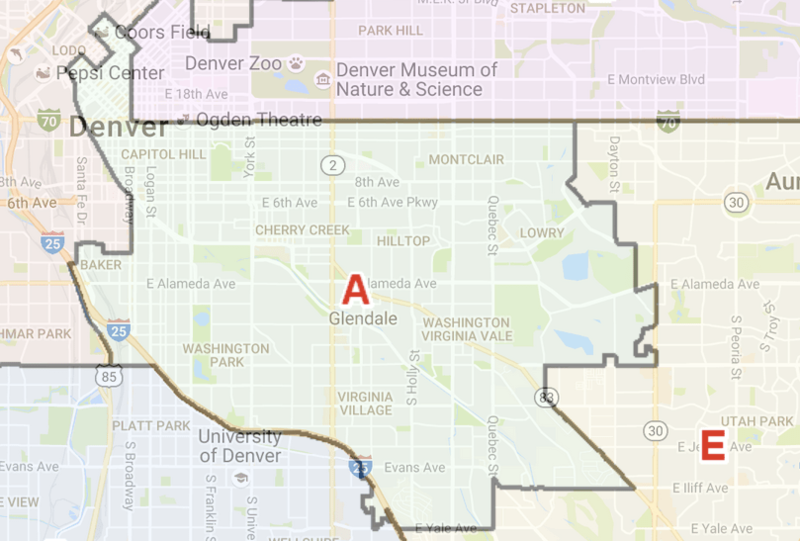 Byrd is running to replace Bill James in District A, which covers central Denver, Glendale, and portions of unincorporated Arapahoe County. She has three opponents: Mike Cerbo, Aaron Goldhamer, and Kate Williams. Day job: Development and operations coordinator at The Bell Policy Center. What prompted you to run? The meeting where I decided to run for the RTD Board was actually the meeting where community members were asking them not to raise the fares. I was just astonished about how dismissive the board was. It was a very mocking, cynical tone, almost, which was very surprising. 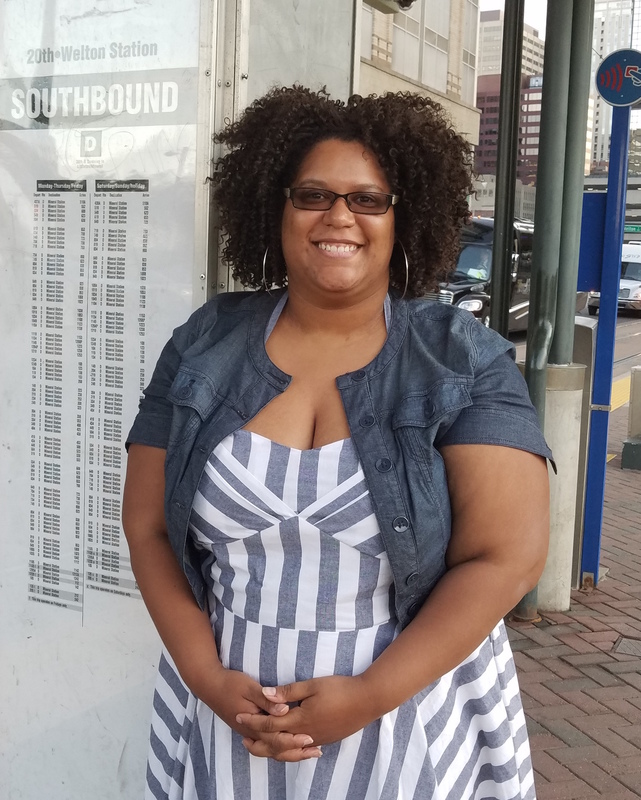 I was one of the people who spoke and was like, ‘You need to go back to the drawing board.’ Your riders are telling you that they can’t afford this fare hike.’ I said, ‘We’re missing an important perspective on the board and that’s not acceptable.’ I’ve distilled it to a simple phrase: It’s time to put riders first. My platform boils down to three components: Affordability, accountability, and community investment. There is a very big problem with how RTD interacts with its constituents. The current perspective of the board… is that RTD gets its information from RTD staff and that’s really the perspective that they mostly care about. So in terms of the ability for riders and the community to get feedback, the board expects them to come down to the Blake Street office and talk to them. A lot of times the decisions have already been made and it’s kind of a courtesy meeting where we’re not actually involved in the decisions. We need to invest more in our bus stops. There’s also a concern from folks about the lack of service late-night, for the folks who are working late night shifts. The light rail stops running pretty early and then there’s a lot of buses that stop running even as early as 10 o’clock. I don’t know why that service hasn’t been offered, or if RTD has even had that discussion, but if there’s a need to have at least some major stops run a little bit later into the night, maybe 2 or 3 a.m., then we need to meet that need for the community. RTD would probably say it doesn’t have the money. As far as I understand RTD’s budget — I’ve looked at the 2015 budget, I’ve looked at the 2016 budget — I don’t understand where this argument about money is coming from. RTD, from what I can tell, has a $300 million surplus. From all of their revenues and all of their expenses, according to their own budget, we should have millions of dollars in the surplus. And that’s not including other things they can do… like charging a dollar for parking. Do you think it’s RTD’s role to get people out of cars and onto transit? To grow ridership? I would say yes. I was trying to think if had a caveat to that, but I couldn’t really think of one. First of all, just from RTD’s operating perspective, why wouldn’t that be a goal of RTD — to say hey, we want to make transit more attractive to everyone and we want everyone to be on RTD because we offer great service and we want to increase ridership from a revenue standpoint, from a branding standpoint, from an operations standpoint. RTD is in an excellent place to address the traffic congestion that Denver is currently facing. What is RTD’s role, if any, in housing and development? You think of RTD as the circulatory veins of the city. It connects fundamental institutions and entities that people interact with in their daily lives. It connects housing, it connects people to their jobs, to childcare services, to groceries. So RTD has to understand that it’s a part of this connected network, meaning that it has to proactively be concerned about whether there is a lack of access to affordable housing and serving those folks that are in those affordable housing communities, because RTD is the only service that connects those communities to jobs and businesses. I don’t think RTD necessarily needs to spend money on that or needs to have some separate affordable housing program, because that would be an odd thing for it to take on. But what it does need to do is be an advocate. It has the ear of a lot of important legislators and officials. If elected, how would you get things done for your district, given that you’re one part of a giant board? What’s your leadership style? It would be easier if I felt like the board had some of the same values, and it was just a matter of figuring out how we get there, but I actually think I have to challenge the board on what our fundamental values are. In the RTD mission statement, affordability is not even one of the measures that they have in there. My leadership style is already very collaborative, is already very empathetic. I want to understand their perspective. There may be things about RTD I don’t know or understand… I’m open to learning and understanding why RTD has made their decisions. But I will be forceful when I think RTD is making a BS decision, to be honest. And I’m gonna make sure that they understand that I want there to actually be consequences for that. My goal here is to get the community more involved and have RTD value what the community input is instead of ignoring or dismissing it. So my style is basically, in summary, about being pensive, thoughtful, but also an aggressive advocate for what my values are and for the values of my constituents. I’m not a seasoned politician. I’m one of those examples of people who was simply a member of the community, doing advocacy from that angle, and was seeing that it wasn’t getting us where we needed to go, so I decided to step up to be a leader. Stay tuned for interviews with other RTD candidates. Agree and I commend anyone willing to be a public servant. JM Fay fails to state that she is banned from the Arapahoe County Library District and the Cherry Creek Valley Water and Sanitation District by permanent retraining order. JM Fay has plenty of experience with law enforcement and trespassing. There is much, much more on the craziness of JM Fay. JM Fay lacks credibility. Sounds like Regan Bird does not understand that RTD is TAX PAYER funded and not a social welfare program. The bus rider pays almost nothing for the ride and yet she wants to totally give the service away. Bird should talk to the Legislature about welfare programs and not RTD! I am not sure whom you are, but you seem to be commenting on everyone’s articles in a rather obnoxious fashion. Transit is indeed taxpayer funded, meaning it is a public utility, with an elected board. That board needs to be accountability to the riders, who are paying for the system, taxpayers, and the citizens at large. Right now, the board takes none of the concerns of any of those groups seriously, and only seems to care about the opinions of RTD staff. That needs to change. Whether or not you think the bus rider “pays almost nothing” is irrelevant. The riders have SAID THEMSELVES they cannot afford the new fare increases, our transit system is one of the more expensive nation wide, and we are losing ridership by not having affordable fares. Transit is the lifeline of a city, and transit people who use it most cant afford makes no sense from a fairness or fiscal standpoint. REGAN BYRD – if you give away the service, you will have no service to give away. The TAX PAYER will not put up with your “free handout to all” approach. What “public utility” provides a giveaway service and survives? There is a cost to delivering a public service which is quite high and the price in this case is heavily subsidized by the TAX PAYER and very inexpensive to the rider – all riders!